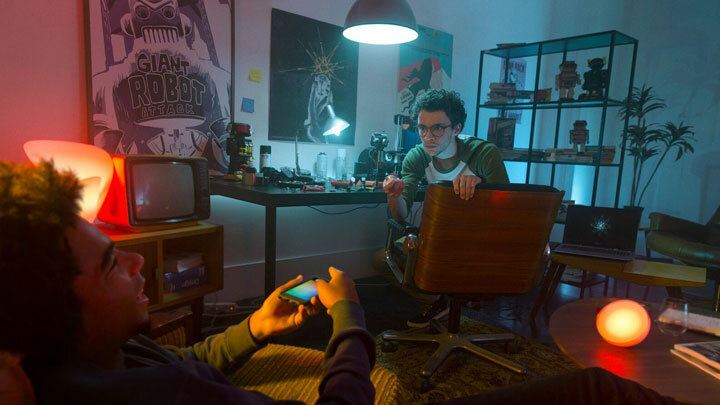 "Syrinscape is a powerful tool", says creator amd CEO Benjamin Loomes, "In its first season of Atmosphere, expect a deep dive into some of its most useful content. Come explore with me how to get the most effect out of Syrinscape with the leaset 'at table' effort. Creating real tension is about watching your players carefully, paying enough attention to really turn the screws on them at just the right moment, and if you set yourself up with Syrinscape just right, you'll barely have to look away from the table, to get exactly the 'mood' you are looking for." Return here frequently to find updates helping you get more & more out of Syrinscape and more & more out of immersion at your gaming table. 1) Why use sound effects and music at the gaming table? 4) And how YOU can USE these powers for good! 5) Why is Syrinscape so good at this stuff?! The Art of Tension is the first in Syrinscape's four-part Year of Atmosphere series, designed to help Game Masters immerse their players in the game like never before. The Art of Tension will be a step-by-step guide to putting players on the edge of their seats with ambiance, stings, effects, music and more. Learn how to create real tension and exactly the mood you’re looking for. Our latest video explores the use of the Shepherd Tone and other musical techniques we use in Syrinscape to create Tension, Discomfort and Immersion in Players at the gaming table. The second video is an excellent example of how sound creates tension at the game table. (a short clip of some epic tension-inducing sounds). The third video is a tutorial of specific ways to create tension at the table with Syrinscape. The Shepherd Tone and other musical techniques used in Syrinscape. Here's a vid of Ben creating atmosphere in an extraordinary live concert perform in Paris in Feb 2018. Just what can Syrinscape do for Starfinder? Now that you’ve got an idea of how to create the atmosphere of tension, let’s talk about how to best set up Syrinscape at your table. 1) Setting up for the game video. Some interesting insights into how to combine sounds to make people scared! An interesting look-in on Ben's process for setting up for a game. Immersion is the buzzword in roleplaying games with sights, sounds and even smells that capture the imagination. Players want stories that move and entice, experiences that thrill, and moments to talk about with their friends in years to come. So how do we achieve this in our games? What tools can we use to help players lose themselves in the drama of great fantasy and sci-fi roleplaying games? Here are some tools and techniques to help engage your players in stories that they’ll never forget. Ten years ago when we introduced Syrinscape to the world, some GMs were crafting homemade sound effects and cobbling together soundtracks, but sound immersion at the tabletop had not yet gone through the cultural shift that is taking place today, and now you’ll be hard-pressed to find a game that’s not using sound. There are numerous free options to begin the journey of bringing sound to your table - Spotify playlists, YouTube videos, Soundcloud, and there are some great websites that let you play 15-minute loop recordings for free. Simply start a loop that approximately matches your location in the adventure and you’ll be amazed at the lift in focus from your group. If you want an even better solution, then obviously I’m not going to miss the opportunity to tell you about Syrinscape. Syrinscape is the app that brings beautiful, immersive, and dynamic sound effects and music to your table and is custom designed by yours truly to enable GMs to keep their attention on the players while keeping the players focused on the game. Unlike 15 minute looped mp3 recordings that are uncustomisable and inherently 100% repetitive, Syrinscape will never repeat itself. Each element of the sound design is separately controlled by the app, automatically randomised and positioned; even things like the acoustics of the environment are dynamically applied. It’s easy to just set Syrinscape off and forget about it, but if you want to tweak how things are running, it's really easy too. To the epic Red Dragon Battle, you might add Goblins from the Goblin Battle SoundSet, and turn on the rain and thunder from the Storm SoundSet, and then you can annoy and drench your Players as you burn them to a crisp. It amazes me when I see so many groups still playing with dry erase markers on blank black and white grids when there are so many beautiful maps to transform the tabletop and map solutions for any budget. There are two really fun things I’ve been doing recently. Take a TV and lay it flat on its back, run a laptop into it and you’ll have an instant endless supply of mapping opportunities. Better still, bounce your theatre projector off a mirror hanging at 45 degrees and shine your maps onto the table below it. I’ve even cut myself a whole pile of white wooden blocks that let me add the 3rd dimension to my miniature based encounters. This one is probably the oldest in the book. As early as 1985 I was hand drawing notes from villains, staining them with tea leaves and charring the edges with matches. Realistic handouts and props let your players touch and feel the items their characters are talking about. They can run their fingers over the textures of the paper, feel the heft of the gem (it’s really just glass), and actually count the coins they plunder. And coins are where things get fun! I have a whole collection of plastic pirate money from the local toy store, which I have spray-painted gold, silver and bronze. I supplement these with plastic flower-arranging ‘gems’ for values such as 100gp or 1000gp. Each player keeps a little red velvet bag with their stash. It’s fun to tip a whole pile of loot onto the table when the PCs find a hoard, or to demand someone comes up with a handful of copper to cover the evening’s drinks. 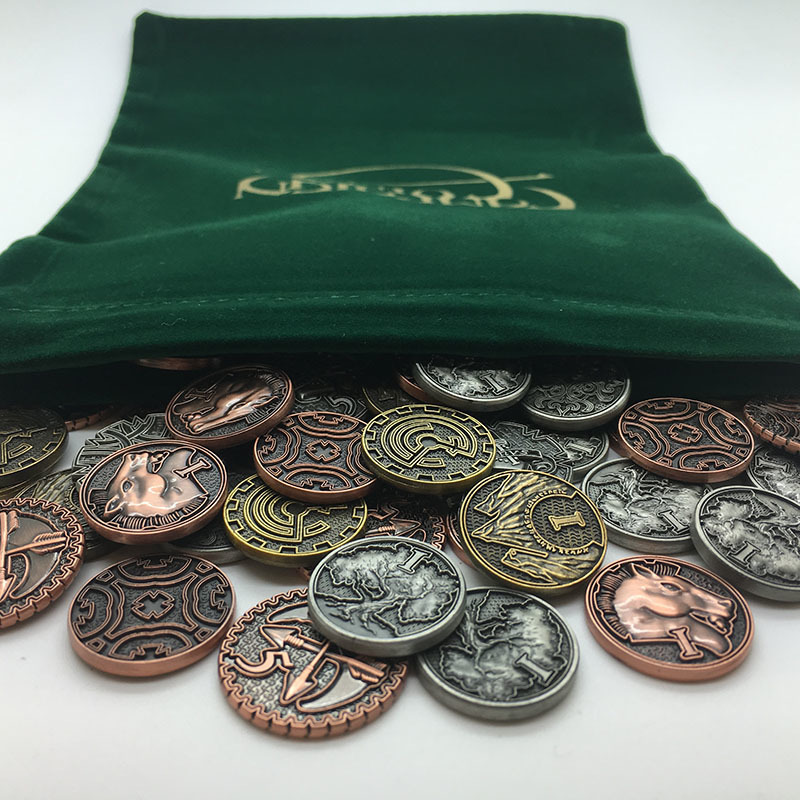 For even more fantasy realism, campaigncoins.com can set you up with every denomination of coin you could possibly desire. They may not be cheap, but the coins they manufacture are beautiful and nothing will beat the sensation of holding real metal. The sense of smell can be most powerful and evocative and taking this opportunity to really tingle your players’ sense is a surefire way to bring them deeper into the game’s atmosphere. A bunch of flowers, an open tin of paint, a can of oil, a clump of moist earth. You’d be amazed at what you can find around the house if you search a little. Collect small jars, label each one and have them ready to subtly open when needed. If you can do this without your players noticing, the effect can be quite dramatic. Note, it’s worthwhile checking if any of your players have any allergies and make sure the room you are playing in has good ventilation. We don’t actually want to poison anyone here! Adventurescents.com will give you all the smells above plus many more. They have literally hundreds of peculiar aromas to choose from (in scent infused beads), from Dank Dungeon to Fishing Docks, and each is secured in a convenient screw shut metal container. Simply open the appropriate scent for each part of your adventure and your players will smell just the way you want them. You’re already doing this, right? Keep the lighting low and make sure that parts of the room that contain distracting elements are kept in shadow. Light that is centered around the small group at the table will bring the focus of everyone close to the story and if there are scary elements in the tale you are telling, then there's nothing like a few shadows to keep the imagination running free. Use lamps and candles to help control exactly where the light falls. Just make sure there’s enough light at the table so people can actually read the dice. Philips have created a product called “Hue” lighting which can be controlled from your phone and is infinitely flexible. Set the colour of the entire room low and green when the party is in a forest, a luminous yellow when they visit the temple and red when the dragon attacks and everything’s on fire. Even better, program the lights to flash when you trigger crashes of thunder over the stereo system. Endless possibilities here! Today’s RPG players want games that are immersive, engaging, imaginative, epic. 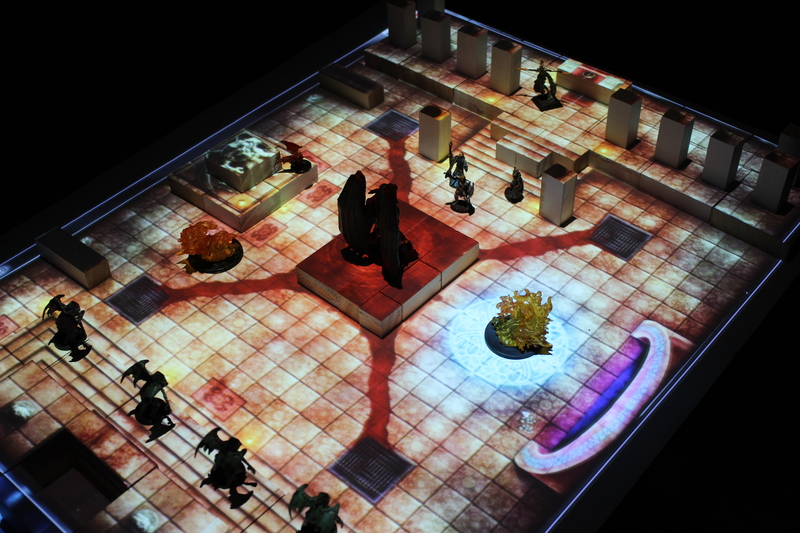 Whether you’re on a fixed budget or have some cash to spare on the latest tech and gadgets, there are sensory solutions that bring the tabletop alive like never before! How are you creating an immersive experience in your game using the wonderful fantasy universes of colour, light, smell, touch and sound? Drop by the Syrinscape Facebook page: www.facebook.com/Syrinscape or the Syrinscape forums at www.syrinscape.com and share your ideas there.